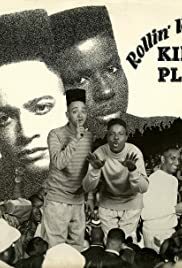 A music video for the 1988 song "Rollin' with Kid 'n Play" by the American Hip-Hop recording artists Kid 'N Play, a single released from the album "2 Hype". A music video for the 1988 song "Gittin' Funky" by the American Hip-Hop recording group Kid 'N Play, a single released from their album "2 Hype". A music video for the 1991 song "Ain't Gonna Hurt Nobody" by the American Hip-Hop recording artists Kid 'N Play, a single released from the album "Face the Nation" and the soundtrack to House Party 2 (1991). A music video for the 1990 song "Funhouse" by the American Hip-Hop recording artists Kid 'N Play, a single released from the original soundtrack to the film House Party (1990).